Quilting With Thistle Thicket Studio: Join Me At Camp Oda May! Join Me At Camp Oda May! Camp starts later this month. Hope you'll join me at my cabin for the adventure! You bring the marshmallows & I'll bring the chocolate bars and graham crackers! Packing For Oda May's Summer Camp! 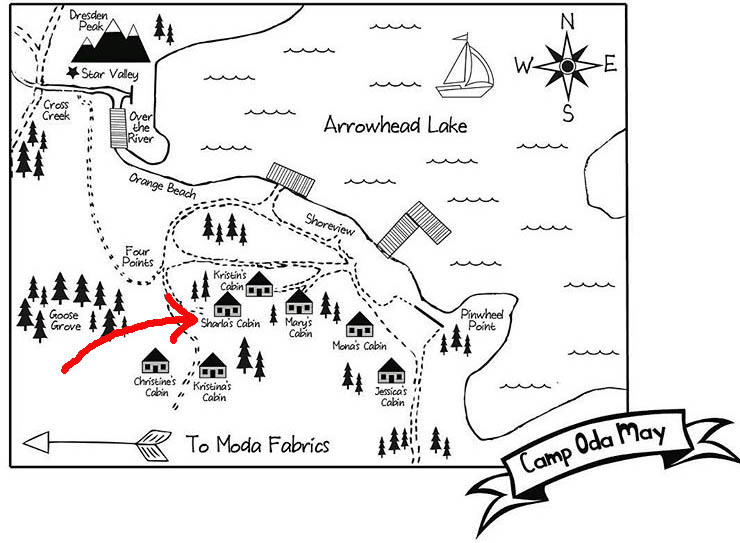 It's Almost Here....Oda May's Summer Camp!